We’re excited to exclusively present you a brand new track from upstate New York’s Casting Curses. The seasoned quintet that starting out halfway through college have released their debut full length record Validation digitally on September 28th. To detail some background information on this release we spoke with front man Brian Kraus, who’s one of the two founding and permanent members of the band. Casting Curses has seen many line-up changes in the interest of pushing forward, and there’s no sign of quitting just yet: “We’re stubborn dudes that don’t want to break up, even if our pace has slowed down.” Check ‘Polar Problems’ off of Validation exclusively in the Soundcloud player, and read more about their new album, their influences, and future plans in our conversation with Brian below. How would your describe your new album Validation? What was it like to record your debut full length? Can you share some of your experiences? What were your main influences for writing this record? You’re planning on physically releasing Validation this winter. Can you already share some of the details? What lays in the near future for Casting? Can you share some of your secret desires, on what you’d like to eventually achieve with your band? 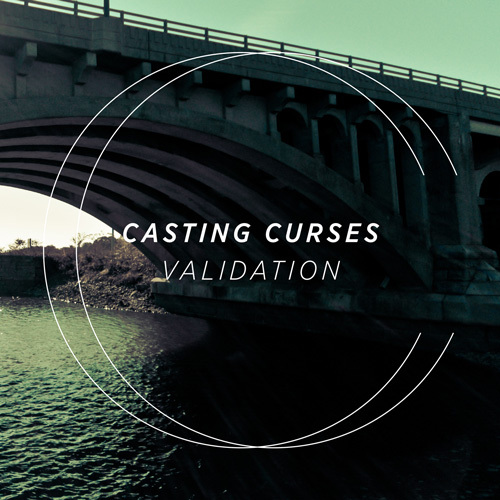 You can now download Validation for $2 or more on Bandcamp. Stay tuned for more information on the physical release. Tags: Album, Bandcamp, Brian Kraus, Casting Curses, Debut, Download, EP, Exclusive, Full Lenght, Interview, New York, Physical, Polar Problems, Premiere, Record, Release, Shop, Song, Store, Validation. Bookmark the permalink.